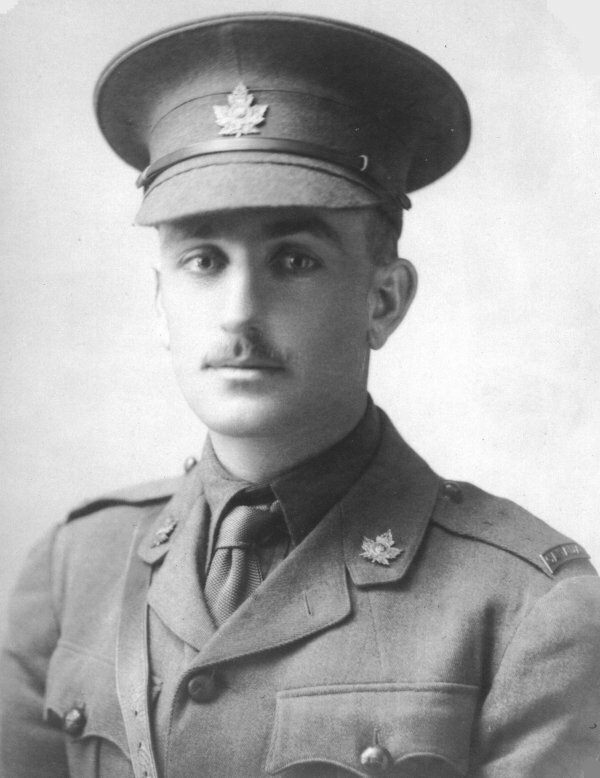 Lieutenant Harry Austin McCleave (Quebec Regiment) dies of wounds received two days prior in action at Regina Trench, Courcellette at age 24. He is a Dalhousie, Nova Scotia Rhodes Scholar. His brother will be killed in action in May 1917. In the provisional examination of 1910 he made the highest aggregate ever attained by anyone in Nova Scotia to that date. Second Lieutenant Oswald Charles Blencowe (Oxford and Bucks Light Infantry) is killed. His brother will be killed next June and they are sons of the Reverend Charles Edward Blencowe Rector of Marston St Lawrence. Second Lieutenant John Francis Raikes (Essex Regiment) is killed at age 20. He is the son of the Reverend Thomas Digby Raikes Rector of Whichford. Second Lieutenant James Skelton Anderson (King’s Royal Rifle Corps) dies of wounds at age 19. He is the eldest son of ‘Sir’ Kenneth Skelton Anderson KCMG Ship-owner, and of Louisa Mary, daughter of James Cochran Stevenson, for many years MP for South Shields. His younger brother, Cadet Kenneth Angus Anderson, R.N., was killed in the explosion of HMS Bulwark on 26th November 1914. Lieutenant Anderson obtained a Commission in the King’s Royal Rifle Corps on 26th August 1915. He went to France with his Regiment in May 1916 and after some months of trench warfare near Ploegsteert, was sent to the Somme. He was severely wounded on 7th October 1916 while leading his men in an attack near Guedecourt and dies today at a Casualty Clearing Station at Heilly, near Albert. Lieutenant John Desborough Bowden (Canterbury Regiment) is killed at age 22. He is the son of the Reverend Charles Stuart Bowden Vicar of Ricarton New Zealand. Company Sergeant Major Robert Lilliman (Sherwood Foresters) becomes the third brother to be killed in the Great War. Sergeant Arthur Clark (Royal Field Artillery) is killed at age 30. His brother will be killed in February 1917. Lance Corporal John Connell (Argyll and Sutherland Highlanders) is killed in action. His brother will die of influenza while on service in February 1919. Lance Corporal William Henry Bailey (East Surrey Regiment) is killed at age 37. His brother will be killed in November 1917.